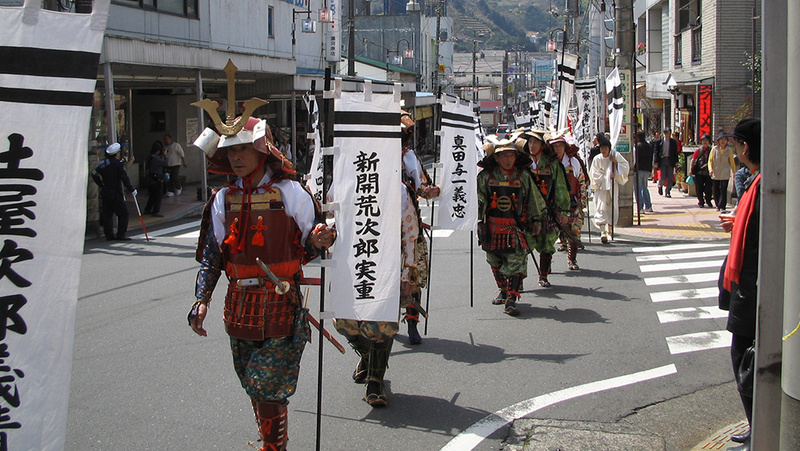 The warriors’ procession in memory of Yoritomo’s army is reminiscent of ancient history. 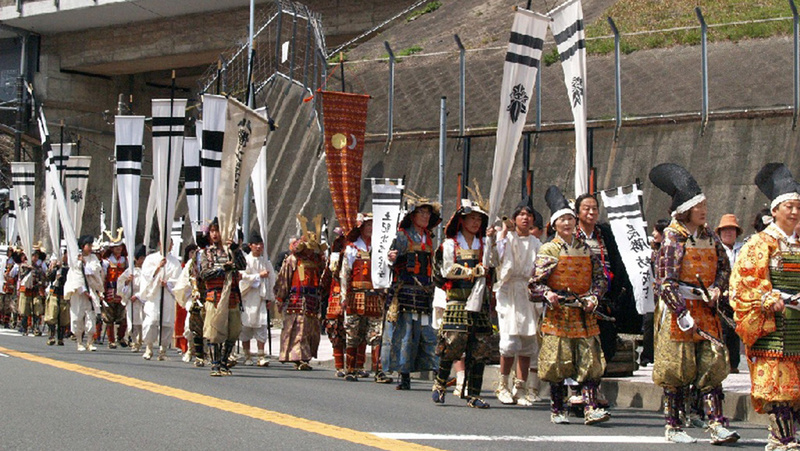 This procession is held in memory of the days when Sanehira Doi, the head of a powerful clan and one of Kanto’s Great Eight, ruled over his domain in Yugawara (then Doi-go), including the area around Odawara. 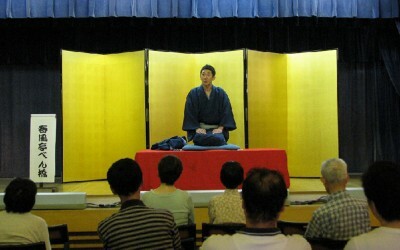 The clan owned a manor about 830 years ago, at the end of the Heian era. 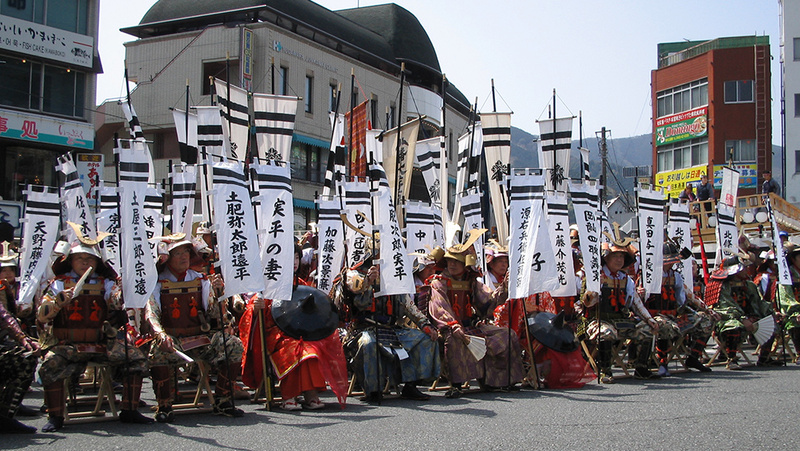 On August 17, 1180, when Yoritomo raised an army in Hirugakojima, Sanehira commanded the army, followed by his whole family. 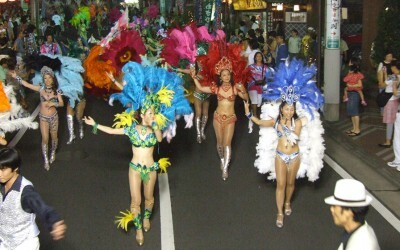 He supervised the strategy, the weapons and the battles, with the help of the Hojos from Nirayama. 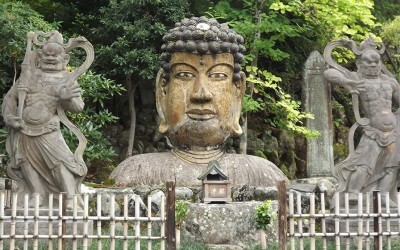 The area around Yugawara Station used to be the site of the Doi family’s palace, and Joganji Temple (300 meters from the back of the station) used to be their private Buddha statue hall. In this palace, after raising an army in Izu, Yoritomo and Sanehira worked out their strategies to head for Kamakura, made war preparations, and headed out for battle in Ishibashiyama, with Yoritomo’s 300 odd warriors on horseback. Unfortunately, outnumbered by their enemy, Yoritomo’s army lost the first battle between the Minamoto and Taira clans, and retreated to Sugiyama in the Doi family’s domain. With the help of Sanehira’s bravery, maneuvers, discretion and foresight, Yoritomo hid in Sugiyama, Doi-go, and escaped from Manazuru by sea. 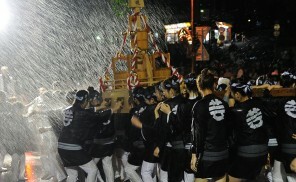 In Japanese history, those ten days in Doi-go were the opportunity that led to the birth of the medieval feudal government. 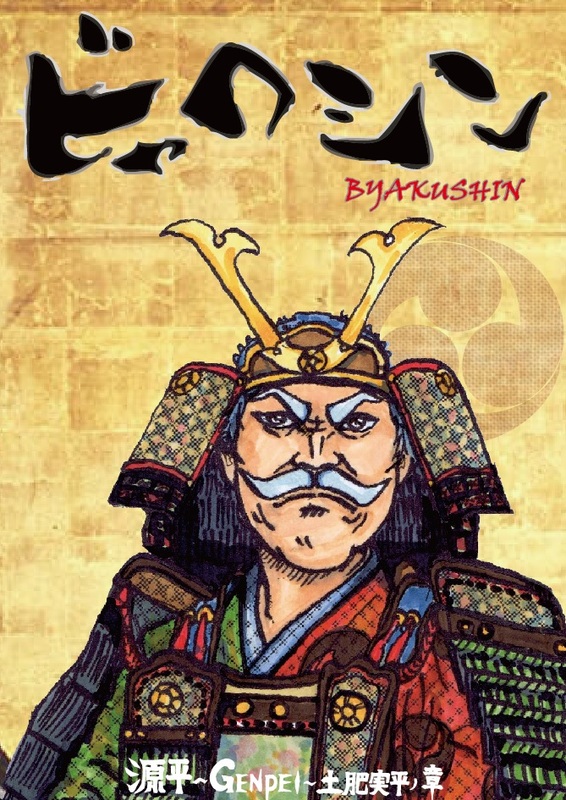 It is refered to as, ” a time when history was altered.” Interested in knowing more about this period, in which Yoritomo’s government was followed, without a break, by those of Nobunaga, Hideyoshi, and the Tokugawa shogunate? 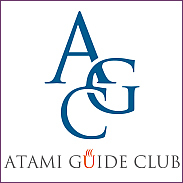 The events are explained in more detail in the “Azuma Kagami” section of Genpei Seisuiki (The Rise and Fall of the Minamoto and Taira Clans). There is a pond called Jikansui halfway up Mt. 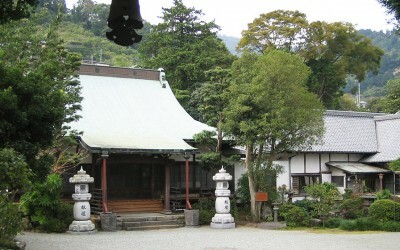 Hoshigayama, a remote hill in Kajiya, Yugawara Town. In August, 1180, when Yoritomo Minamoto, after losing a battle, fled through the cedar grove to the side of the pond, hunger and thirst struck him at once. This story led to the pond being called “Jikansui” (water for seeing oneself) because Yoritomo knew how miserable he looked when he saw himself reflected on the water. It is also refered to as “Jigaisui,” because he tried to commit suicide at this pond, too, (“Jigai” means “to kill oneself.”). The anecdotes surrounding the names of this pond have been handed down over a long period of time. 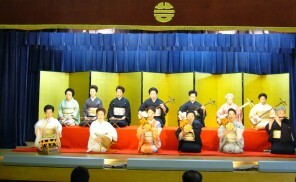 At Joganji Temple, starting from 1:30 p.m.
Buddhist memorial service for Sanehira Doi, Yoritomo and his men; dedication of the Dance of jomo; public participation in the visit to the grave; etc.